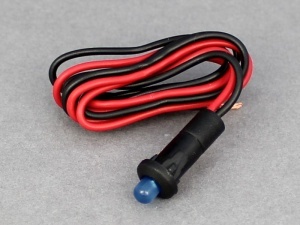 12V panel mounted blue LED warning light. The LED is mounted in a black plastic housing with connection via un-terminated flying leads. 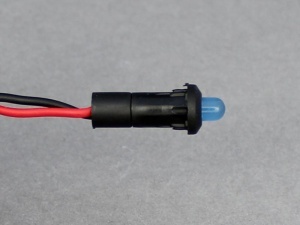 The LED flashes when +12V is applied. Really good product. They are nice and bright really easy to fit. Good price. Would recommend this product.